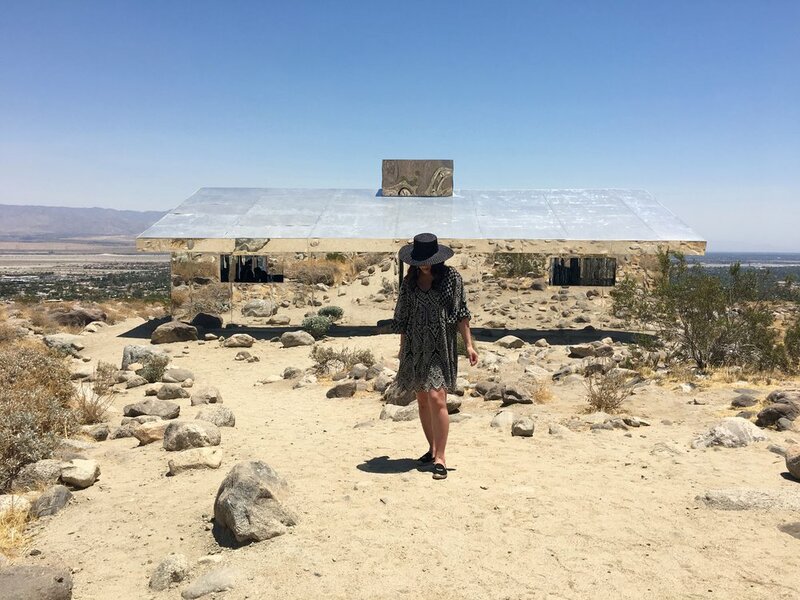 This LA heat is inspiring me to write about Palm Springs! 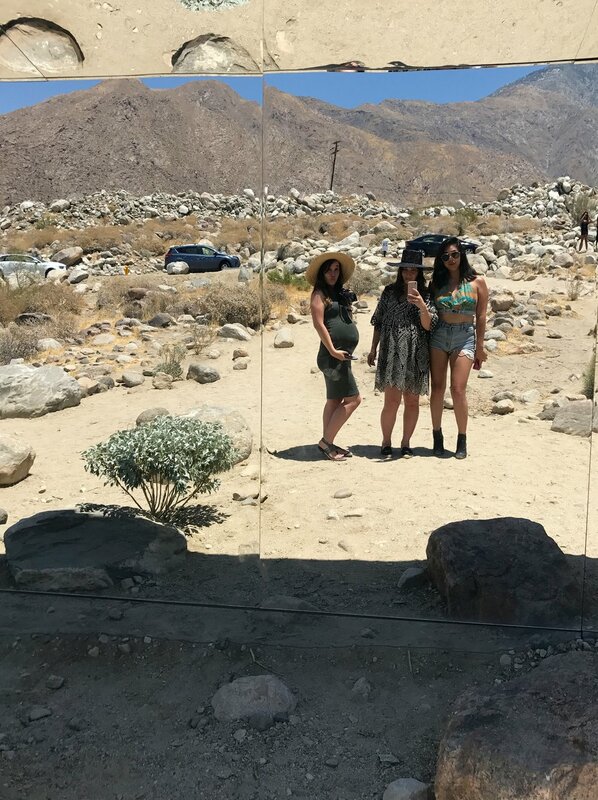 You may remember a previous post of mine about a girls trip I took with my sister and cousin to Palm Springs. Well we did it again, but this time around went to a few new spots. Also on this trip, my sister and I are both pregnant. This year, I missed Coachella because I didn't feel comfortable being pregnant in the hot dusty desert and because my gurl Beyonce backed out. I almost always go to Coachella, making my visit to Palm Springs an annual thing. It was only fitting that I do it a bit differently this year and so here is a recap of our preggo style trip haha. We stayed right down the street from the Saguaro (where we stayed last) at the ACE hotel. Although it was my sister and cousin's first time staying there, I have previously stayed there with friends. I much prefer the restaurant on site and they offer better drinks and food poolside than the Saguaro. We got the nachos and caesar salad by the pool and it was just a perfect snack, not to mention the service was great. We also liked that they serve Clover juice ( bonus for pregnant ladies, that can't get fun cocktails but want something refreshing.) As far as restaurants, we ate at Cheeky's and Birba of course, because they are not to be missed when visiting Palm Springs! We happen to try out Appetito, The Farm, Reservoir, Ice cream and Shop(pe), and Lappert's. We enjoyed that Appetito was right next door to the hotel. The food was good and they give quite large portions. The Farm is a good place to eat for breakfast or brunch. We liked their crepes and farm house flair. As for Reservoir (a restaurant in the new Arrive Hotel that just opened this summer,) we were disappointed in their petite lunch menu, but mostly that the food and service wasn't good. Ice Cream & Shop(pe), also in the Arrive Hotel was quite cute and although the ice cream flavors were somewhat basic, it was a nice treat. Lappert's on the other hand is quite yummy! They serve up the famous Dole Whip, which is so refreshing in 100 degree heat. Since we've pretty much done it all at this point, we didn't do much but eat, relax and lounge! 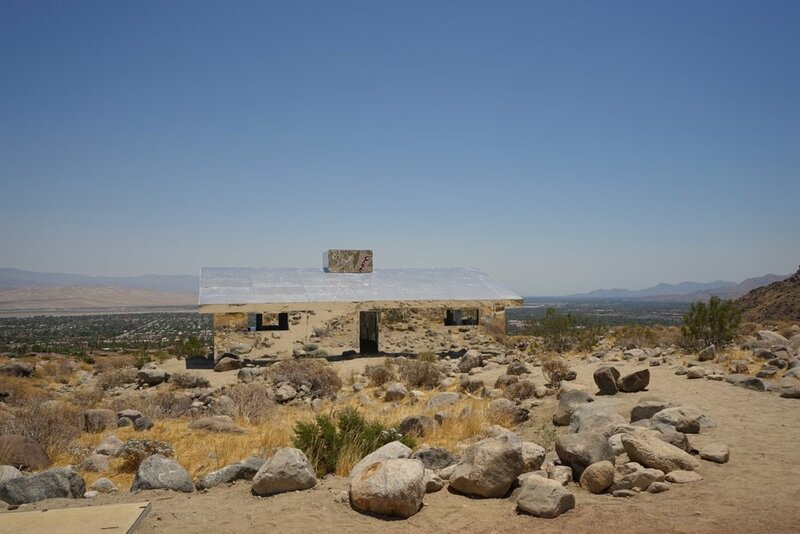 This summer, Palm Springs had some very cool art installations put in place. We decided to visit DESERT X and it was a very cool experience. The mirrored house was so very neat and photo worthy! In these photos I'm 25 weeks and my sister is 28 weeks! I can't believe how the time has flown. I'm currently 35 weeks and very anxious to meet my baby!